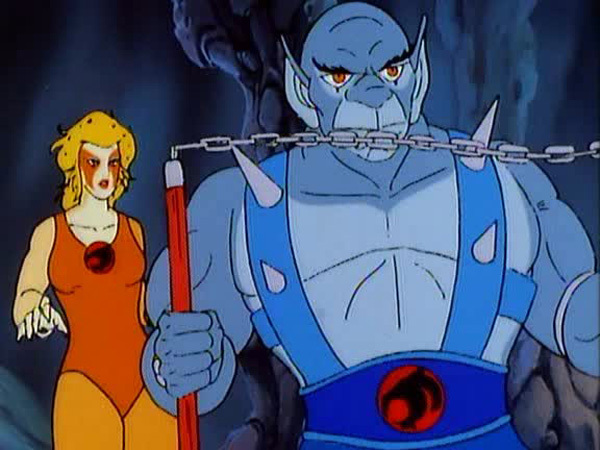 One of the reasons for the broad appeal of ThunderCats was its clever blend of science fiction and fantasy, this during a time when most animated shows leaned on only one of those genres. While “He-Man and the Masters of the Universe” cartoons were full of magic and swordplay, and “Transformers” was built around high-tech alien robots,ThunderCats creators and writers combined the best of both worlds in their work. Writer Bill Ratter continues the tradition, flavoring his sci-fi story with a sprinkle of Greek mythology. 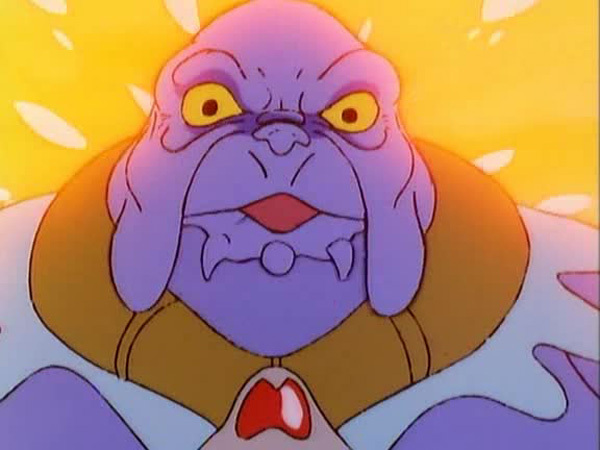 The episode opens with Mumm-Ra being rudely awakened from his slumber by an annoying voice calling his name. The mummy approaches the cauldron in his Black Pyramid, only to get a big hug from a giant tentacle that emerges from its waters. 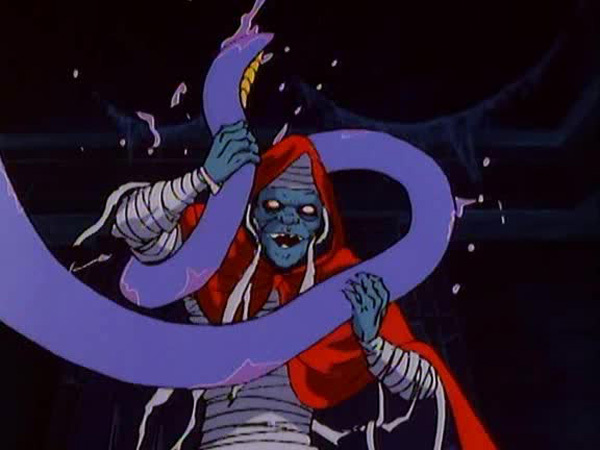 The slimy appendage belongs to Amortus, an evil being trapped in the Land of No Return by ancient Thunderians, who implores Mumm-Ra to free him from his prison in exchange for eternal servitude. 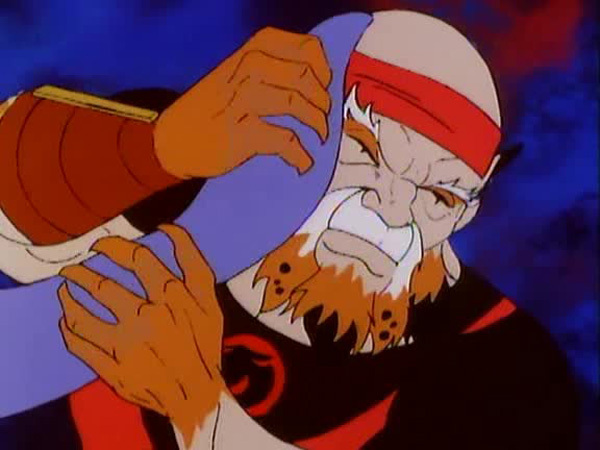 Not particularly keen on orchestrating this jailbreak, Mumm-Ra nevertheless agrees only on the condition that Amortus destroy Lynx-O, whom Mumm-Ra considers to be Lion-O’s main source of wisdom. Amortus wastes no time and immediately conjures up a fake storm that causes Lynx-O, who is flying in the ThunderStrike, to crash into a crater. 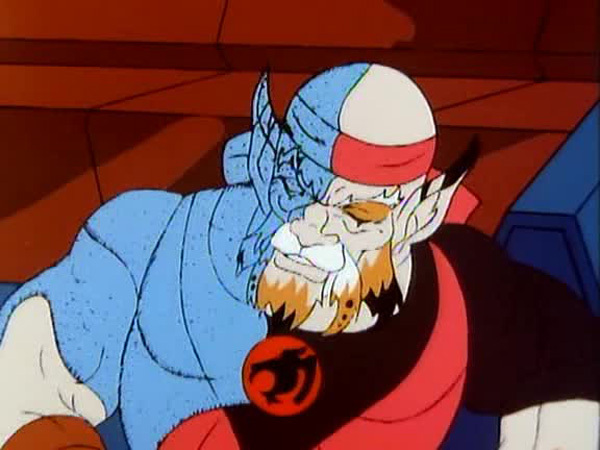 The blubbery blue beast then brands his mark on Lynx-O’s cheek, all the while telling him that if he returns home, it will spell doom for the other ThunderCats. 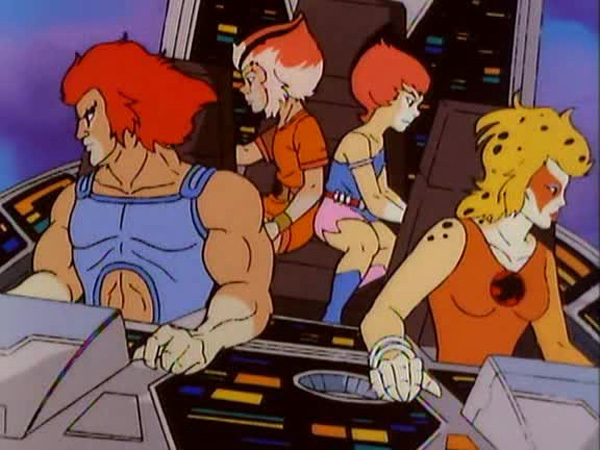 After some telepathic convincing by Cheetara, Lynx-O agrees to return to the Cats Lair with the other ThunderCats, who had come to his rescue in the Feliner. During the night however, Amortus continues his mental torment of a sleeping Lynx-O until the blind ThunderCat, not wanting to endanger his friends, packs his bag and flies off in the ThunderStrike. 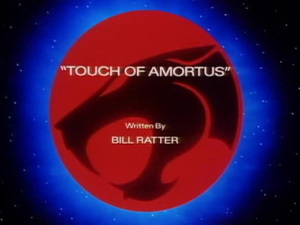 After Snarf raises the alarm, the ThunderCats again pursue Lynx-O into the Land of No Return where he is being drawn by Amortus’ voice. Once inside Amortus’ lair, which is adorned with Thunderian statues, another close encounter with Amortus’ giant tentacle causes Lynx-O to slowly turn to stone. 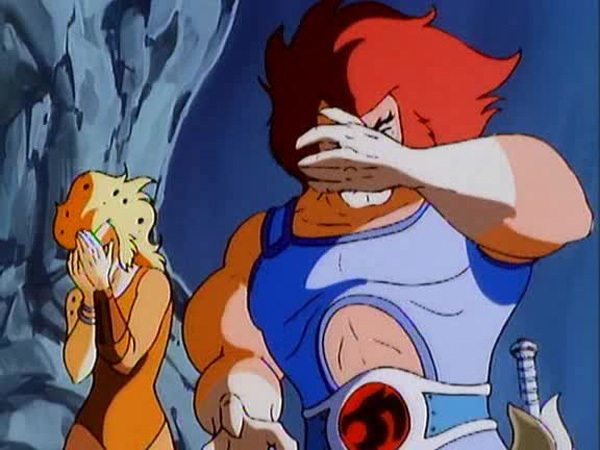 Lion-O, Panthro and Cheetara try in vain to throw their weapons at Amortus only to have them hurled back at themselves before they each receive a stony peck on the cheek. 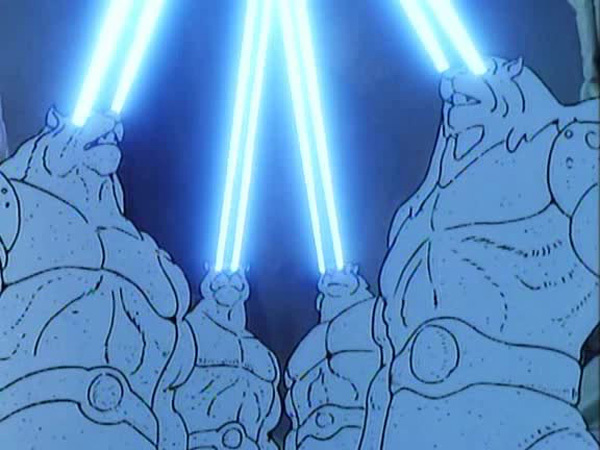 As the ThunderCats begin to solidify, Lion-O summons the Sword of Omens to his hands and with his chant, frees his three friends from their curse. The sword also brings the Thunderian statues to life, and they blast Amortus into oblivion, destroying the Land of No Return. As a last resort, Amortus contacts Mumm-Ra only to be banished to the netherworld for all eternity by the unimpressed mummy. Heavily inspired from the ThunderCats episodes “Mask of Gorgon” and “Shadowmaster”, this installment fails to measure up to the quality of these two. An unoriginal plot built around a poorly constructed villain, who looks like the offspring of “Barbapapa” and Heimlich the caterpillar from “A Bug’s Life”, is a sure recipe for disaster. Not only is the Medusa-Midas hybrid Amortus’ imprisonment in the Land of No Return contradicted by his freedom to project his image and his giant tentacle wherever he wishes, his “touch” fluctuates confusingly between branding a victim as an outcast, and turning them to stone. Add to that the nerve-grating voice of the villain, not one of Peter Newman’s best works, which will make the audience wish they were stone deaf! Speaking of stone, the Thunderian statues in Amortus’ lair are even more bewildering. 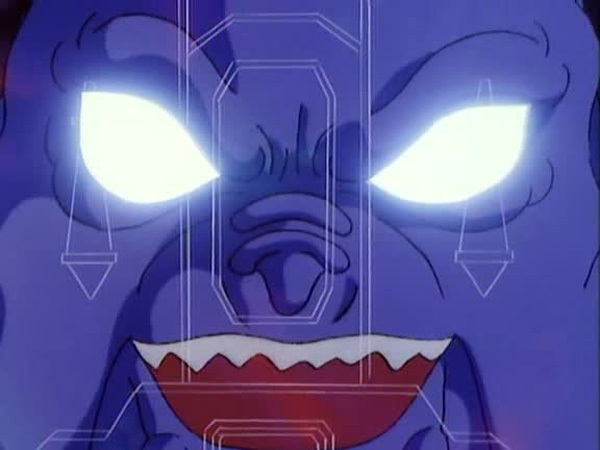 They come to life following Lion-O’s chant but do not turn to beings of flesh. 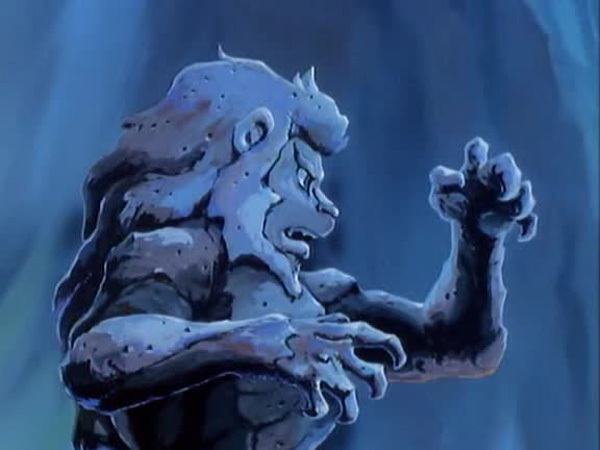 Instead, Lion-O asserts that Amortus cannot harm them as they are already made of stone. One also can’t help but wonder what these living, life-sized Thunderian stone sculptures were doing in Amortus’ lair in the first place. Turning stone into stone, sounds like an outrageous power even for an unconvincing villain like Amortus. The only silver lining here is Lynx-O’s characterization. Normally depicted as a highly independent and resourceful character in spite of his blindness, Lynx-O’s delusions and mental torment at the hands of Amortus highlight his vulnerability, something that will tug at the audience’s heartstrings. However, despite sympathizing with Lynx-O’s predicament, the viewers will feel even sorrier for Bill Ratter, whose script was dragged down by its rotund antagonist. 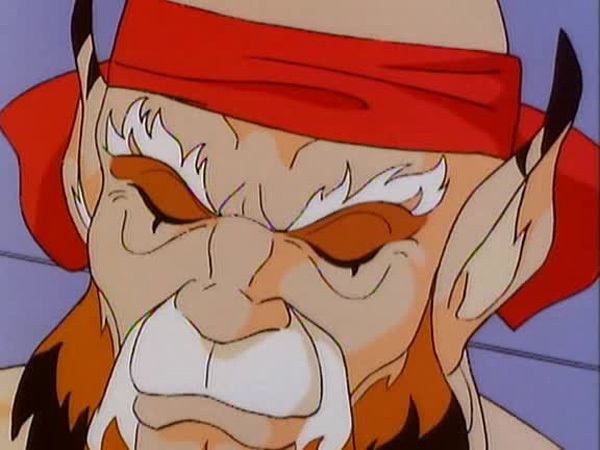 Near the beginning of this episode, Lynx-O is in the ThunderStrike when he receives disturbing telepathic messages. This scenario is similar to the beginning of “Mask of Gorgon”. 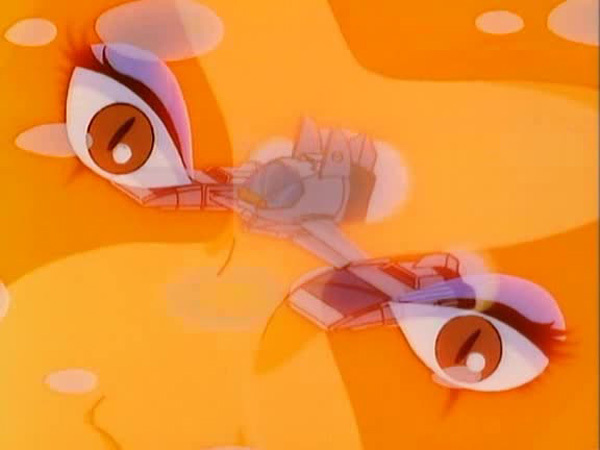 Also both episodes feature an antagonist who has the ability to turn beings to stone. Surprisingly, Cheetara, who is the fastest being on Third Earth, was not able to outrun her own Bo Staff when Amortus threw it at her with a relatively average force. Amortus refers to Panthro as “my strange blue friend” even though Panthro is gray in color.